PERS is an important resource for employees of the state in Nevada. For many, however, it can be somewhat confusing and arcane, trying to understand what the system is and exactly how it works. 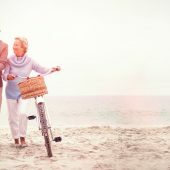 If you’ve got questions about the retirement system in Nevada, you’re not alone most have questions ranging from “how benefits are calculated” to “if the plan benefits can be included in divorce settlements”. Explore some of the most frequently asked questions about Nevada PERS (Public Employees’ Retirement System) rules, regulations and operations. 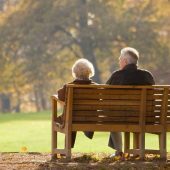 How does PERS retirement affect Social Security benefits in Nevada? PERS benefits are not affected by your Social Security income. However, the other way around is not so. Your Social Security may be affected if you are receiving a pension from PERS. Both the Windfall Elimination Provision (WEP) and the Government Pension Offset (GPO) may reduce your SSA benefits based on the amount of pension you receive. Contact the Social Security Administration for more information. How many years does it take to be vested in PERS in Nevada? Vesting is a term that refers to how long you must work in order to have the right to pension under the system. In Nevada, a worker must have worked for five years in order to be vested in the system and get a retirement pension. Are PERS retirement benefits taxable in Nevada? Yes, PERS recipients do have to pay federal income taxes on their pension benefits. Fortunately, Nevada does not have a state income tax, so there is no money owed as long as you receive the payment in Nevada. How and When are Benefit Payments Distributed? Your PERS Benefits will be either mailed from the central office in Carson City, or direct deposited into your bank account. They are distributed the fourth working day before the end of every month. What Limitations Are There on Working after Retirement? Most limitations you face on post-retirement involve working a public job in the state. Those who have been approved for disability retirement must first seek board approval before they can work any job. It’s important to contact the PERS office directly to check if there are any limitations before you accept new employment. It is possible to change your mailing address, either by submitting a form in writing or going through the PERS website. In order to have your change take effect the same month, you must submit the request before the 14th of the month. Can I Change My Federal Tax Deductions? You can, and should, change your income tax deduction at the Federal level to account for receiving your retirement benefits. The PERS website offers a certificate for tax withholding that you can complete and submit to a local office. As with changing your address, you should submit prior to the 14th of the month in which you want your change to take effect. Can I Get Verification of the Retirement Options I Selected? You can get verification. All you have to do is contact PERS and file a request for the information you need. They will be happy to provide it. How Can I Change Direct Deposit Instructions? Changing your direct deposit isn’t much different than doing it for your job pre-retirement. You must complete and file an EFT (Electronic Funds Transfer) authorization form and return it to any PERS office by the 14th of the month. You can also make the change right through the website by setting up your online account. Can I Get a Duplicate 1099R Form? The PERS offices will be happy to supply a duplicate 1099R and mail it to you upon request. You can also view full information about your past and current tax years if you create an online account at the website. When Will I See Increases on My Benefits? After three full years of drawing benefits, you will be entitled to increases. These begin at 2% and occur at years three, five and six. Then they increase to 3% for years seven through nine. In years ten through twelve you’ll get a 3.5% increase, a 4% increase in years thirteen and fourteen, and for every year after that, you’ll see a 5% per year increase. Increases are paid the month after that in which you retired. Thus, if you retire in June, you’ll see benefits in July of the appropriate years. On occasion, you may see lower percentage increase if your benefit outpaces the inflation rate for the year. How Can I Get Alternate Payee Information? Those listed as Alternate Payees can access their account information by requesting it through one of the Nevada PERS offices. What Does the Term “Owner” Mean in Reference to My Benefits? “Owner” and “Retiree” are used interchangeably. “Owner” is the term you will see when setting up or validating your account, but it describes you, the retiree. A beneficiary is someone other than the retiree or owner who has been designated by the retiree to receive a continuing benefit after the original retiree passes away. A student indicates an existing, surviving child of a deceased retiree who died before retiring, that is over the age of 18 and is attending full-time studies at an institution of higher education. What Does “Dependent Child” or “Child” Mean? A child or dependent is the offspring, adopted child, or legal ward of a member who passed away before retiring, and is still a minor. What Is a Survivor Beneficiary? You cannot change your designated beneficiary after you retire. There are certain elements you can alter, with the agreement of your spouse, but any changes you make will not be retroactive, and there will be no beneficiary benefit after you pass away to that person. For more information on how this works, contact the Nevada PERS office. What Is the Average Compensation under PERS? The average compensation is calculated as the average amount you earned over the 36 highest compensated consecutive months, as your public employer credits it. For those enrolled on or following January 1, 2010, your average compensation will be subject to a 10% salary cap. Benefits are calculated by multiplying your service credit by a service time multiplier. This multiplier is 2.5% for each year prior to July 1, 2011, and 2.67% for each year after that. The total earned percentage is multiplied by average compensation. Are PERS Benefits Subject to Divorce Settlements? As with most retirement and pensions plans, Nevada’s PERS system benefits are also subject to be included in calculations around property and alimony settlements for its qualifying members. Nevada PERS pensions are typically deemed community property and are subject to division upon dissolution of a marriage or registered domestic partnership, or a legal separation. However, as with most retirement plans, there can be unique requirements to properly perfect and effectuate claims from a divorce order.